A/B Testing, also known as split testing, shows two (or more) different versions of a page to your visitors on your site. Visitors are bucketed into one version, and don't see the others. By tracking the way visitors interact with the page they're shown, you can determine which version of the page is most effective. Keeping the number of tracked variables small means these tests can deliver reliable data very quickly, as they do not require a large amount of traffic to run. 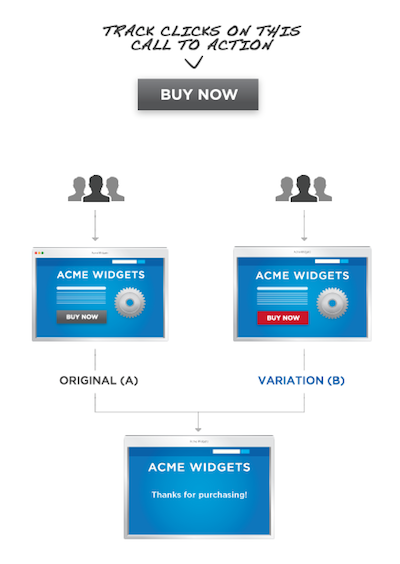 A/B testing is best used to measure the impact of a two to four variables on interactions with the page.